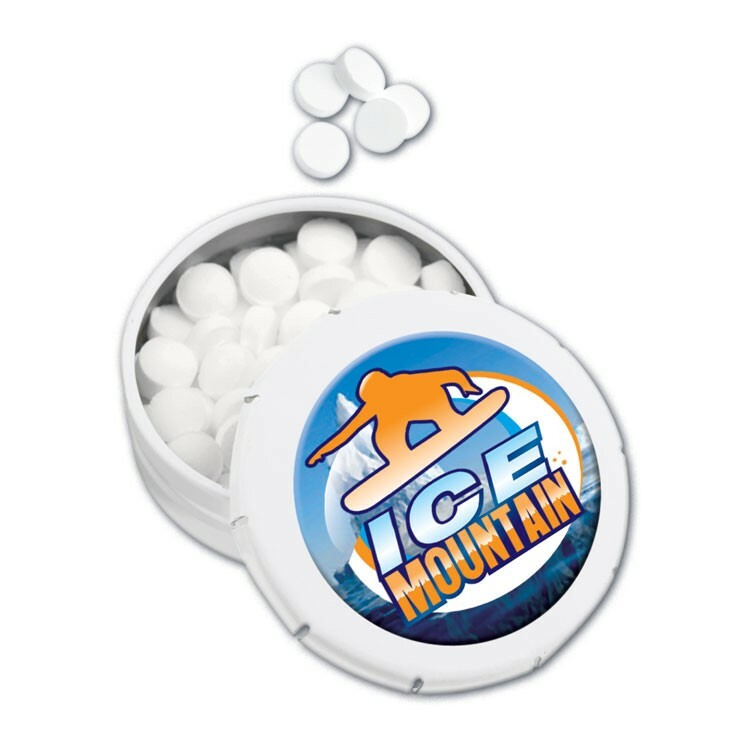 Mints In Square Dispenser. Zip It next day service available. 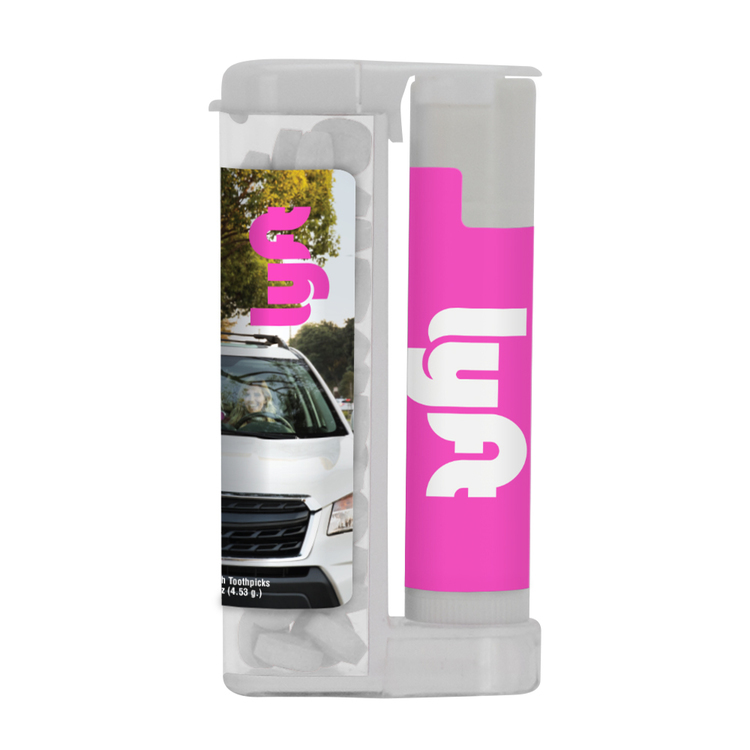 Come out on "top" with this fantastic marketing tool. 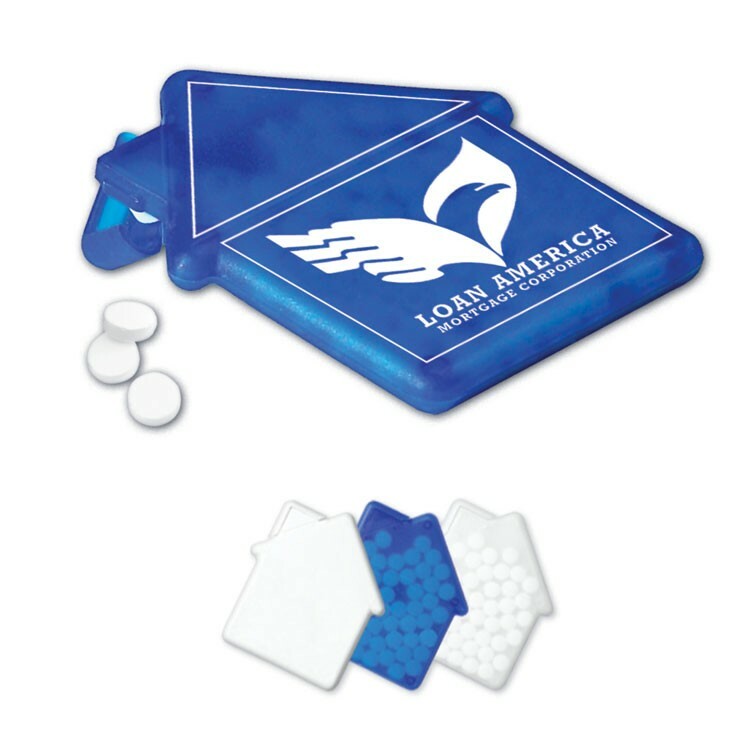 Choose this Rectangular Flip Top Mint Dispenser and Toothpick Combo as a terrific giveaway during promotional events. 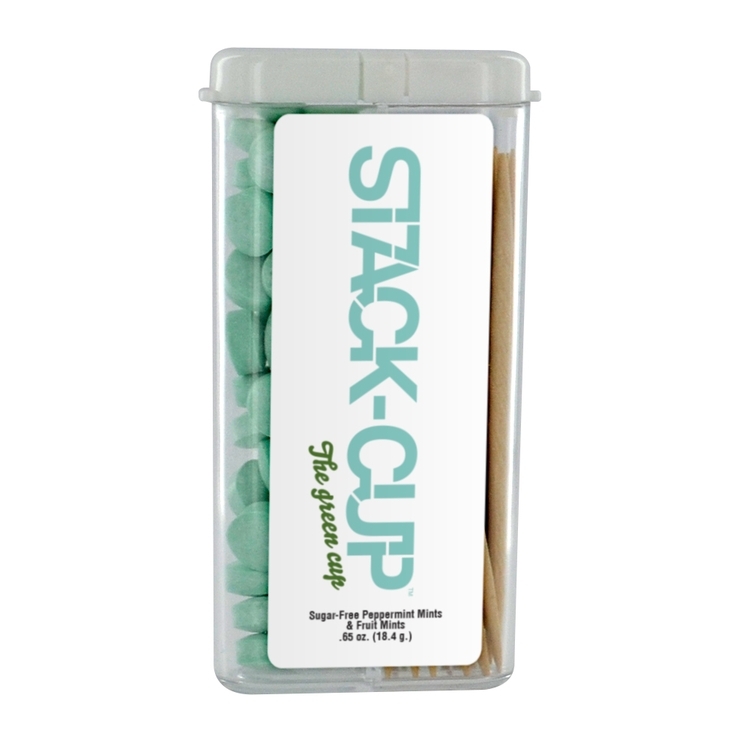 Option to pair your favorite mints with toothpicks (25 tooth picks), or mix and match between any of our refreshing mint flavors: Peppermint, Wintergreen, Cinnamon. (Shown with Cinnamon mints & toothpicks). 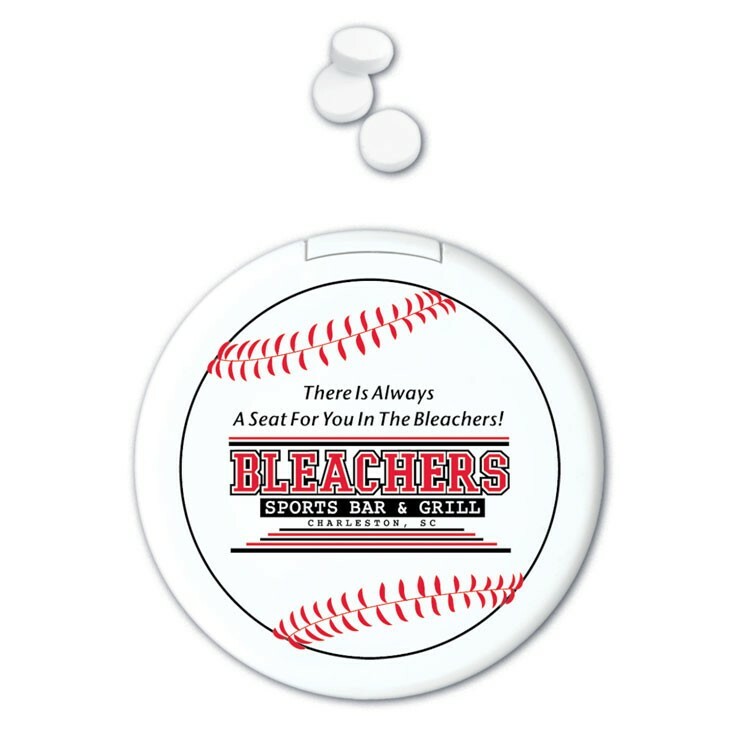 Feel fresh with our sugar-free Fresh-Mouth peppermints in convenient travel size round design tin. We passed a comprehensive audit and meet Disney's standards! They're a surefire way to sweeten the deal with new and existing customers! 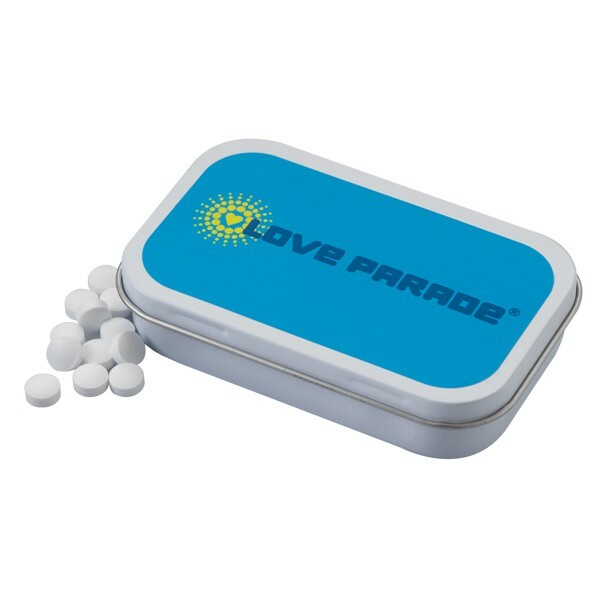 Small Rectangular Hinged Tin with Mints. Meets FDA guidelines. Sugar Free and Gluten Free. SnugZ USA is a QCA accredited company. Available with a label or dome. 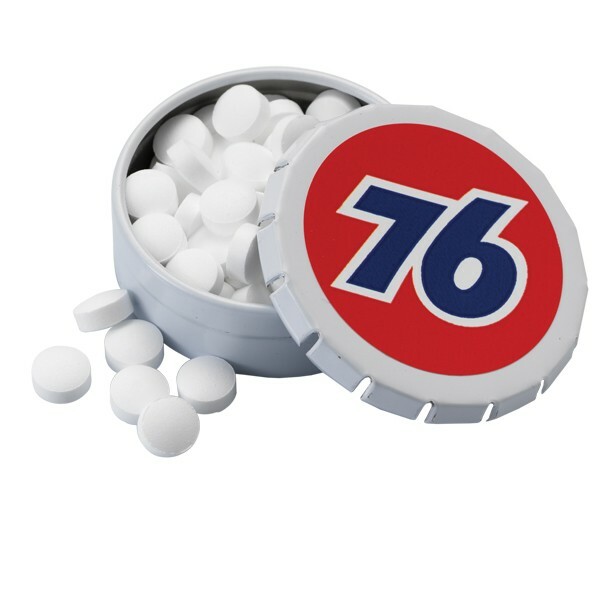 Small Round Push Tin with Mints. Meets FDA guidelines. Sugar Free and Gluten Free. SnugZ USA is a QCA accredited company. 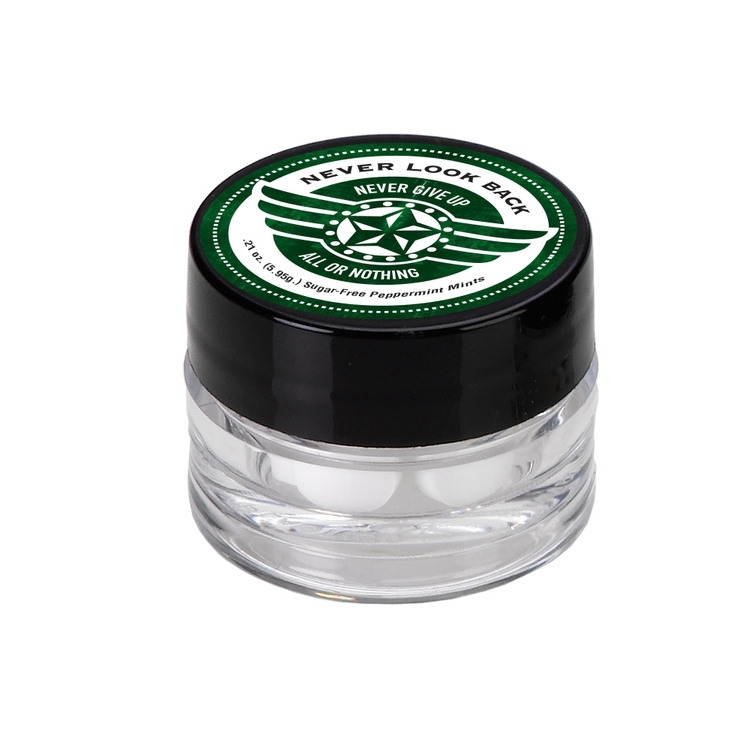 Natural Lip Moisturizer and Mint Container in Double Stack Jar. Meets FDA guidelines. Sugar Free and Gluten Free peppermint mints. SnugZ USA is a QCA accredited company. 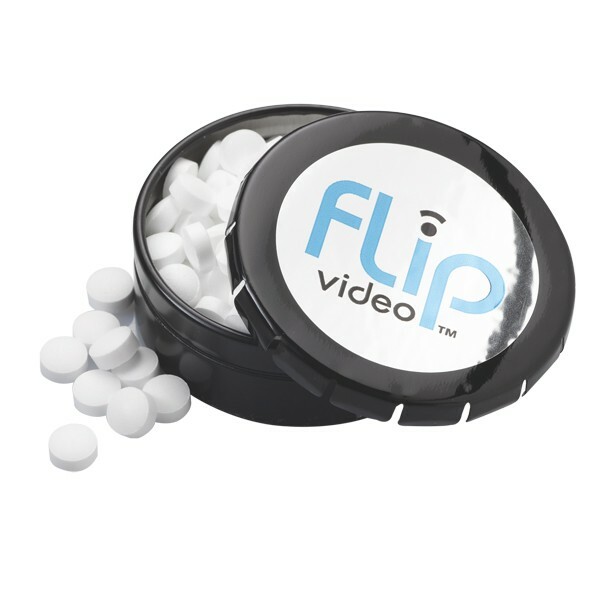 Sugar free mints in a patented rectangular flip-top dispenser with SPF 15 lip balm. 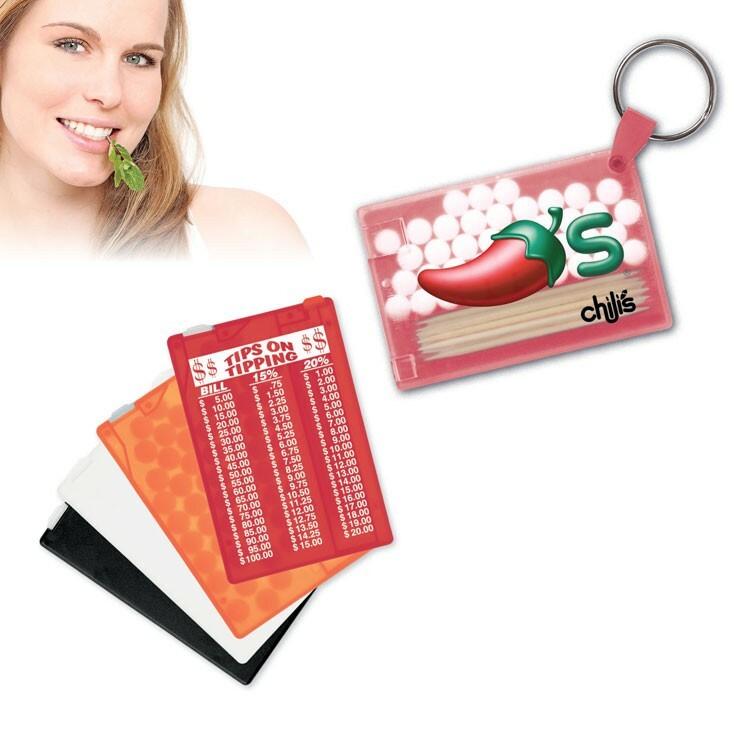 Sugar free Fresh-Mouth peppermints in rectangle shape card case. 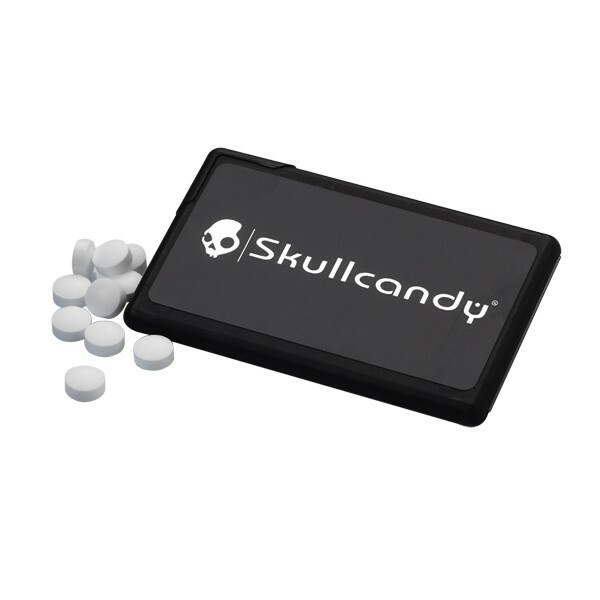 Convenient slim size - just 1/4" thick. We passed a comprehensive audit and meet Disney's standards! They're a surefire way to sweeten the deal with new and existing customers! 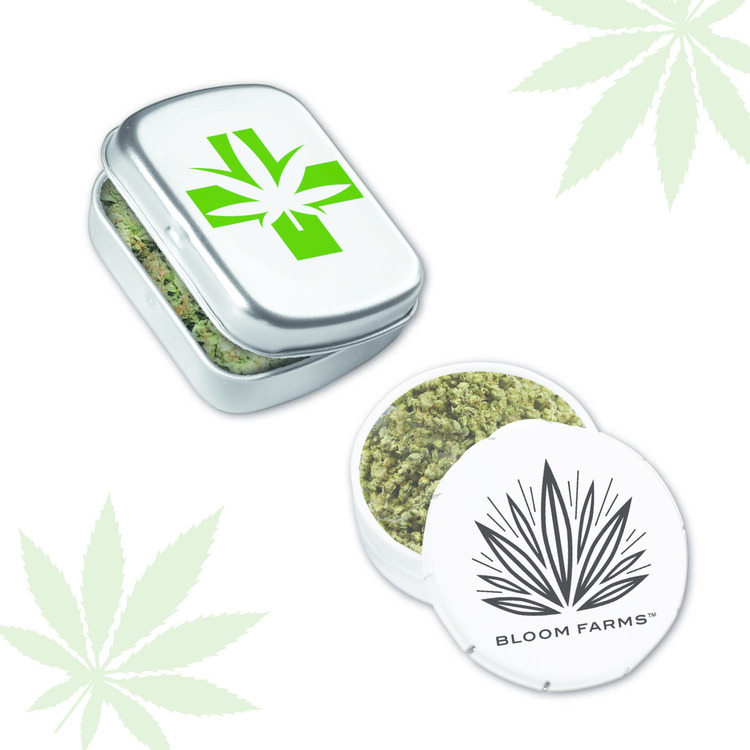 Large Round Push Tin with Mints. Meets FDA guidelines. Sugar Free and Gluten Free. SnugZ USA is a QCA accredited company. 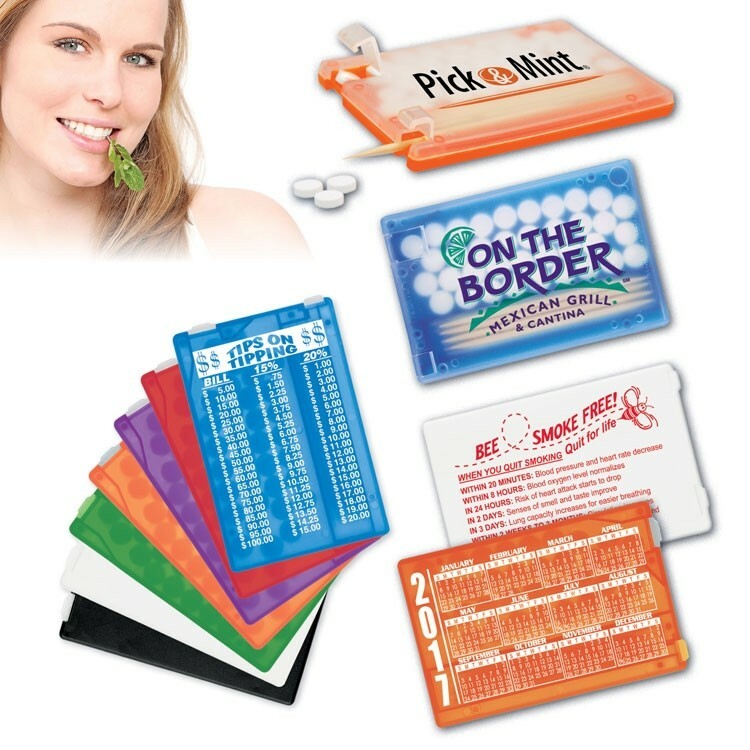 Show your customers and employees that they're "Worth a Mint!" 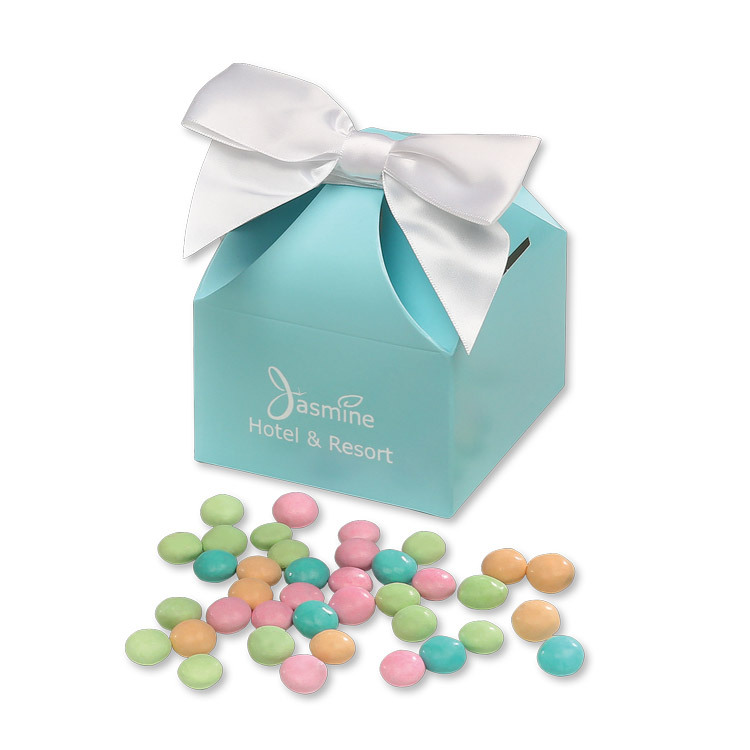 Gourmet mints, served in many of America's finest restaurants, are a masterful combination of flavors: a refreshing mint center dipped in milk chocolate and covered with a colorful confectionary coating. 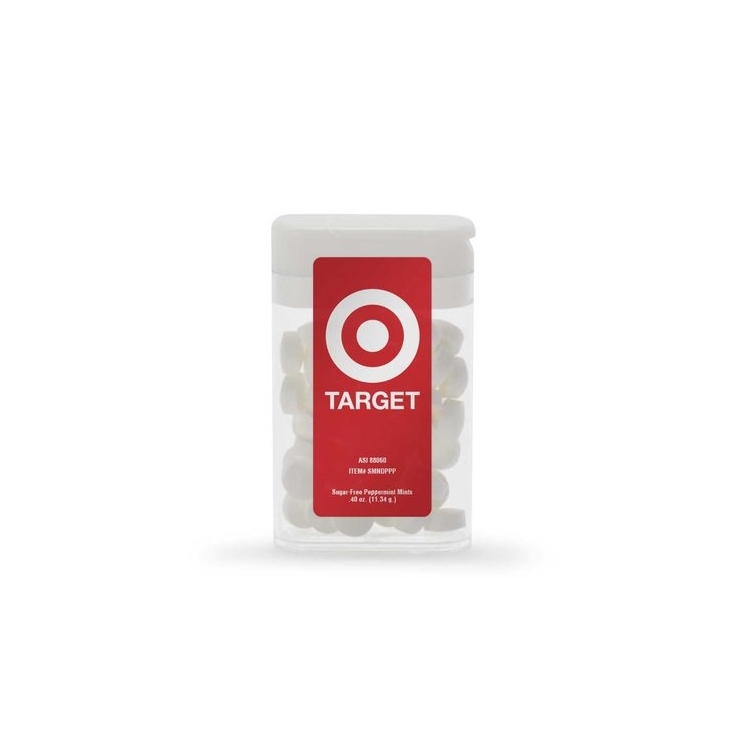 Approximately 100 mints come packaged in this six-ounce package. 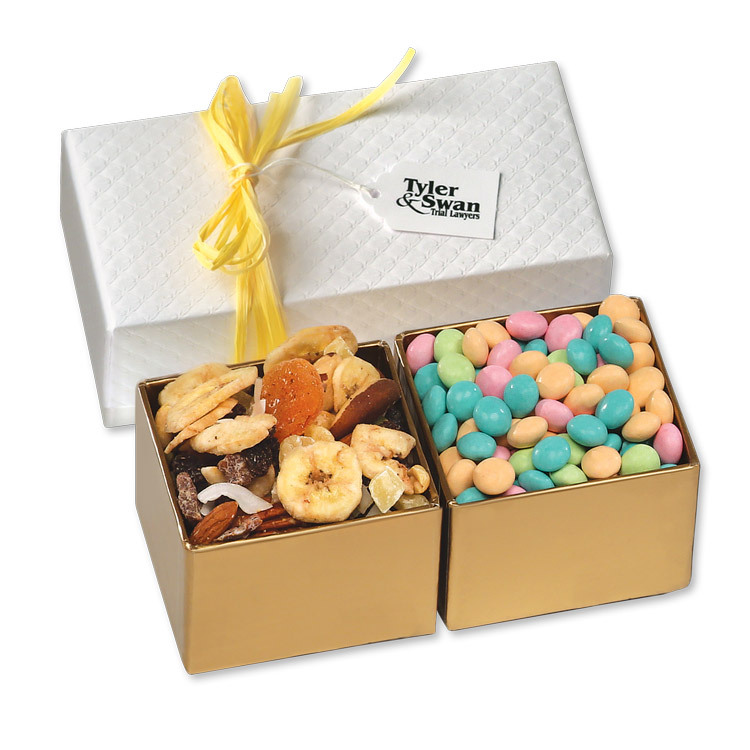 Bright eggshell blue boxes are foil-stamped with your logo in white and complete with a white satin ribbon and bow. Individual mailing cartons are available at an extra charge. FDA inspected facility. CPSIA & Prop 65 compliant. 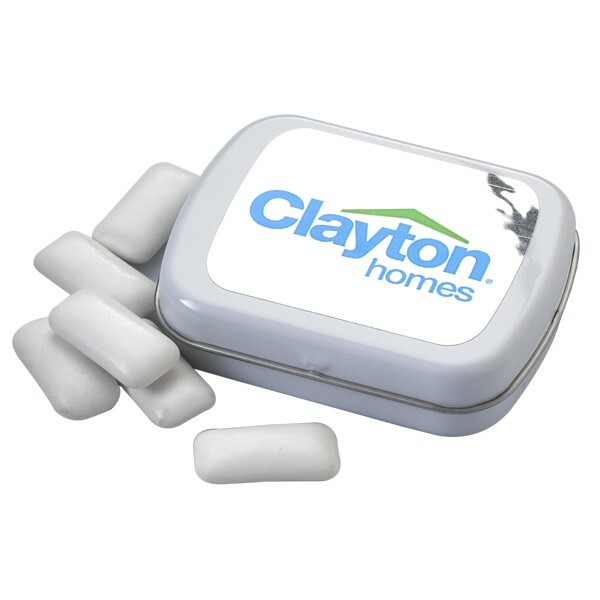 Rectangular business card style dispenser with mints. Meets FDA guidelines. Sugar Free and Gluten Free. SnugZ USA is a QCA accredited company. 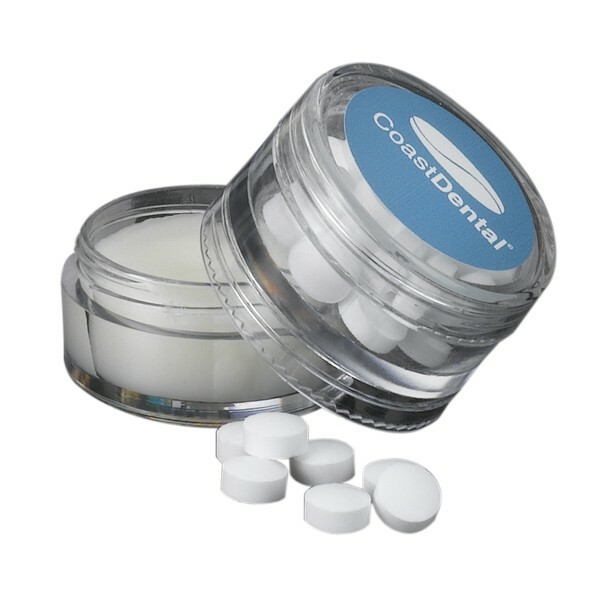 Round Single Jar w/ Mints; Black or White Cap. Sugar & Gluten Free. Flavors: Peppermint (White), Wintergreen (Green) Cinnamon (Pink). Meets FDA guidelines. Add 2 days if paper proof is requested. Direct Print available with additional up charge. Zip It next day service available. Flip Top Tube Mint Dispenser. Meets FDA guidelines. Sugar Free and Gluten Free. SnugZ USA is a QCA accredited company. 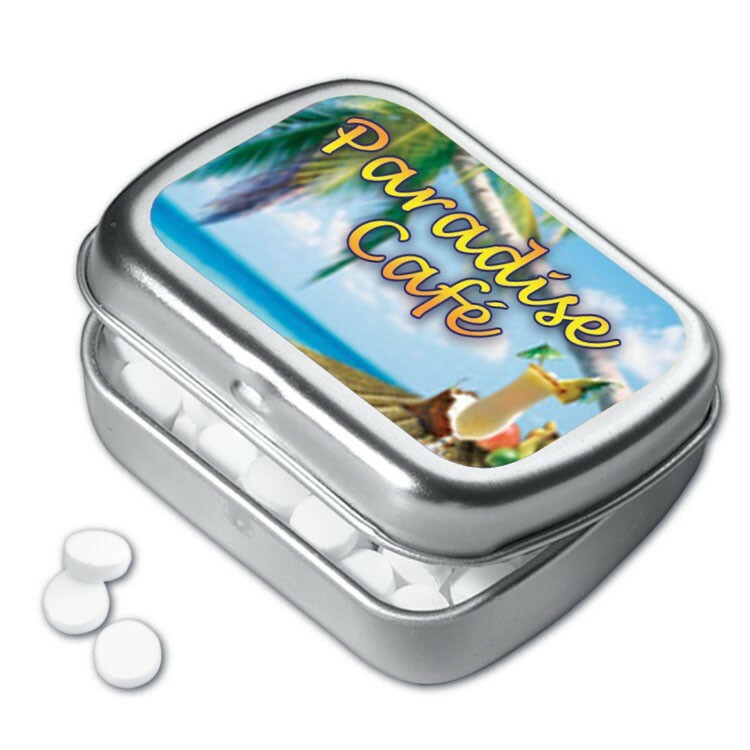 Large Rectangular Hinged Tin with Mints. Meets FDA guidelines. Sugar Free and Gluten Free. SnugZ USA is a QCA accredited company. Available with a label or dome. 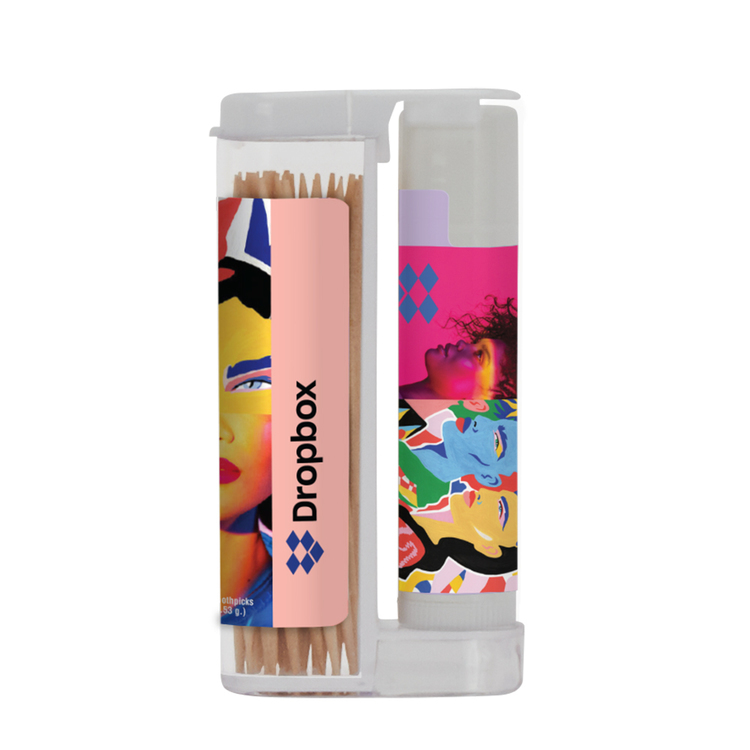 Wooden toothpicks in a patented rectangular flip-top dispenser with SPF 15 lip balm. 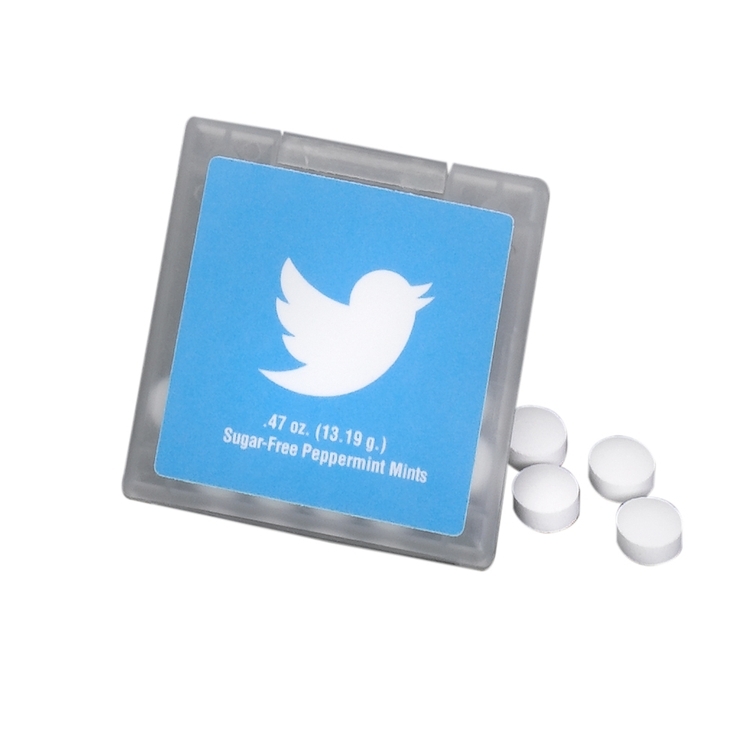 Sugar free Fresh-Mouth peppermints in round shape card case. Convenient slim size - just 1/4" thick. We passed a comprehensive audit and meet Disney's standards! 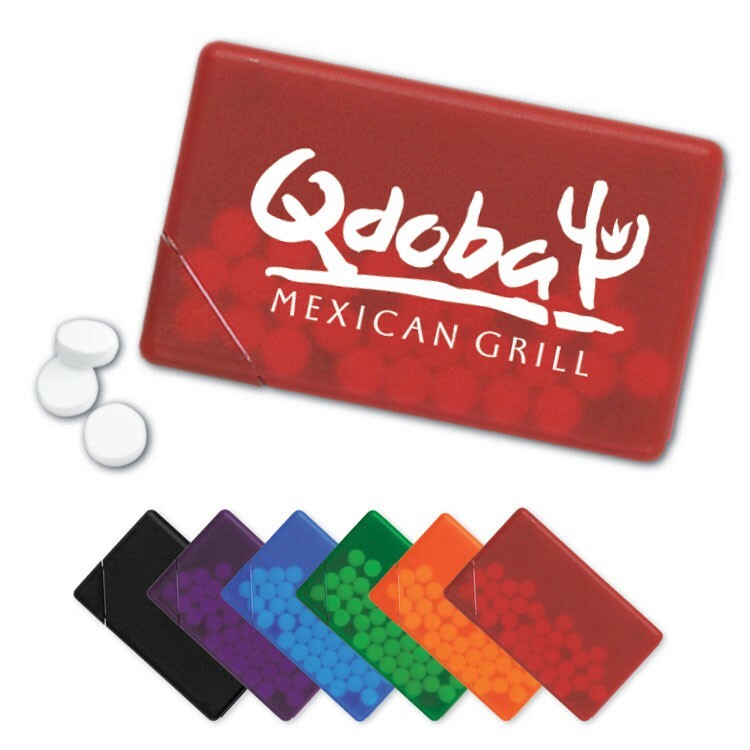 They're a surefire way to sweeten the deal with new and existing customers!